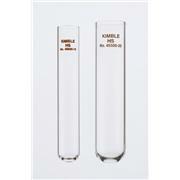 …50 mL sizes, both of which are 29 mm o.d. 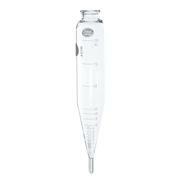 and fit 50 mL shields Length of 50 mL size, which is approximately 126 mm, makes it incompatible for some centrifuge and rotor combinations; overall length of 35 mL size is 106 mm. 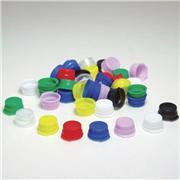 Complete with unattached black plastic cap with cemented rubber liner. 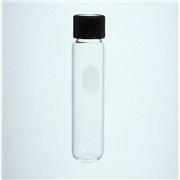 …upward to 0.5 mL in divisions of 0.05 mL , from 0.5mL to 3mL in 0.1 mL divisions, from 3 mL to 5 mL in 0.5 mL divisions and from 5 mL to 100 mL in 1 mL divisions. 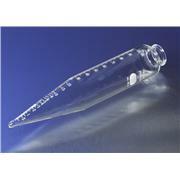 Made with a 3 mm vent hole located 180° from the front of the tube. 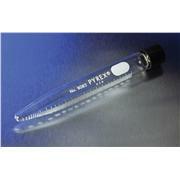 Tubes are for testing propane, butane and Isobutane mixtures. 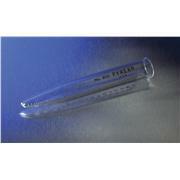 …completely enclosed and is permanently lubricated in a one-piece cast-iron body. 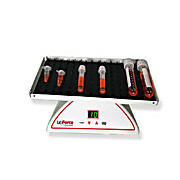 The unit is supplied complete with two metal shields and two 10 ml glass centrifuge tubes (one plain, one graduated). 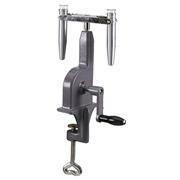 A screw clamp is provided for fastening the unit to tabletops of any thickness up to 1-3/4" (45mm). 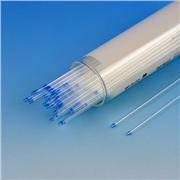 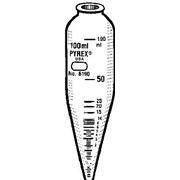 Uniform glass distribution in the wall, taper and bottom of these 15mL PYREX® conical centrifuge tubes provides improved mechanical strength, prevents the formation of failure-causing stress regions during centrifuging and insures the highest degree of accuracy. 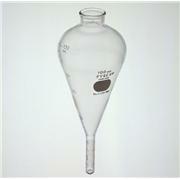 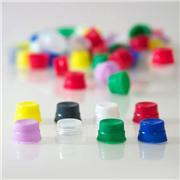 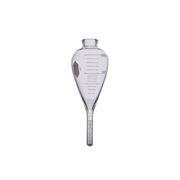 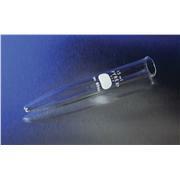 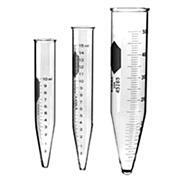 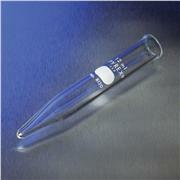 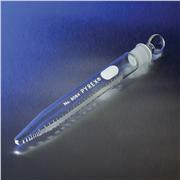 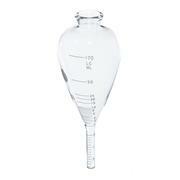 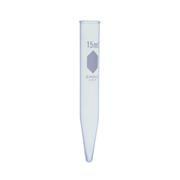 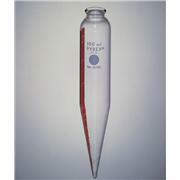 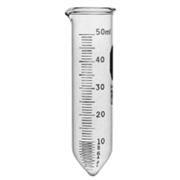 These 15mL PYREX® conical centrifuge tubes have sharp, black enamel graduations and markings. 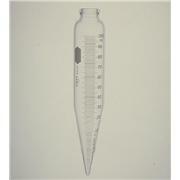 The tubes are the same size and shape as our Nos. 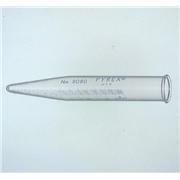 8060 and 8080. 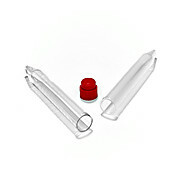 They have precision formed tips and uniform walls throughout for a high degree of accuracy and mechanical strength.